Sheron is a 9 year old girl. Sheron's parents are no longer together. She lives with her Mum, 2 older siblings and her elderly grandfather. He is a vegetable farmer and the entire family attempts to live on his meagre earnings from selling a small crop at the local markets. 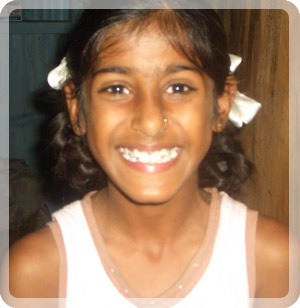 Sheron enjoys attending school and her favourite subject is all subjects. When she is not at school she loves to playing netball and loves the chance to watch something on TV. Sheron travels to school each day by van. When she grows up, Sheron wants to be a nurse. 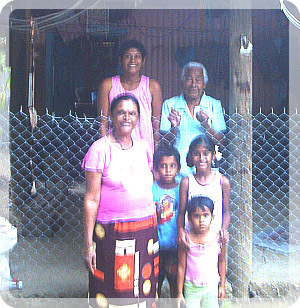 Sheron's education can only continue depending on her grand fathers health. She is a neat and bright girl and she has the potential to attain a university education. Sheron now receives the education ecery child deserves.